The Sword of Silence. 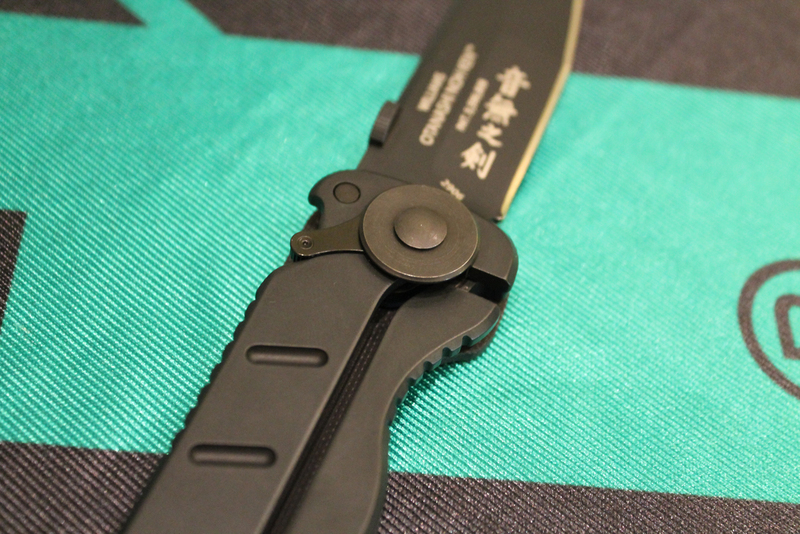 Columbia River Knife and Tool designer James Williams states it is the Japanese translation of Otanashi noh Ken, the name of CRKT’s new folder. With its large 4.6″ tanto blade in Osoraku style, the Otanashi noh Ken resembles a pocket samurai sword. I was able to handle and photograph this prototype OnK at the 2013 SHOT Show. In doing a little research, I discovered that the osoraku-zukuri blade shape has a long kissaki or tip section, which may extend to 2/3 of the blade length. It makes for a rakish, very pointy blade which has superior penetrating ability. As a former U.S. Army officer, martial arts instructor, and President of the Bugei Trading Company, Mr. Williams’ designs are steeped in martial prowess. It is said the OnK was made at the request of SOCOM personnel. Okay, let’s talk basics. 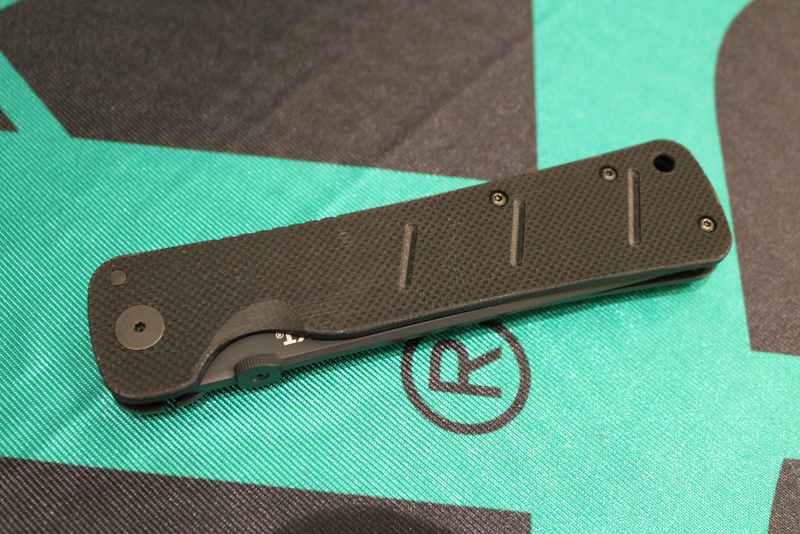 OnK is a frame lock folder with the left side scale done in textured G10. 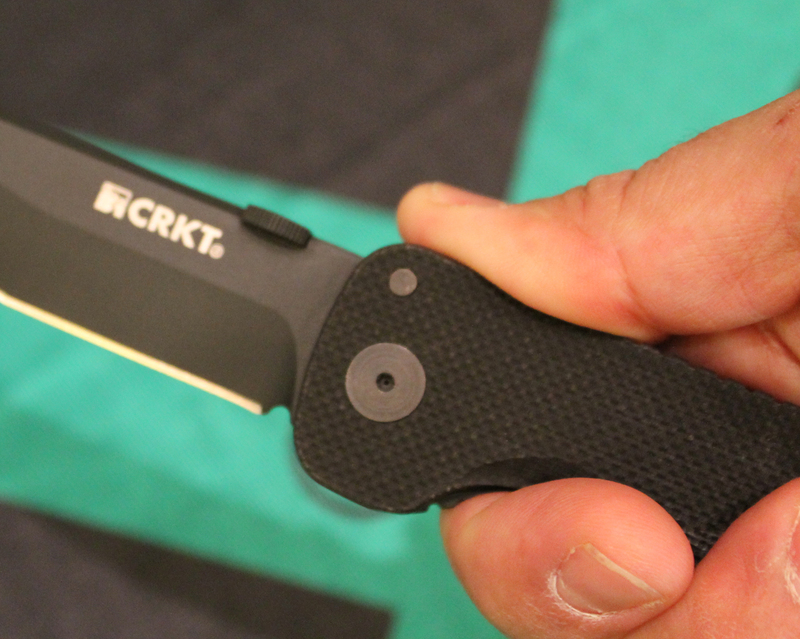 A thumb disk brings the knife open, the frame lock secures the blade, and the manual LAWKS™ feature provides a mechanical safety. 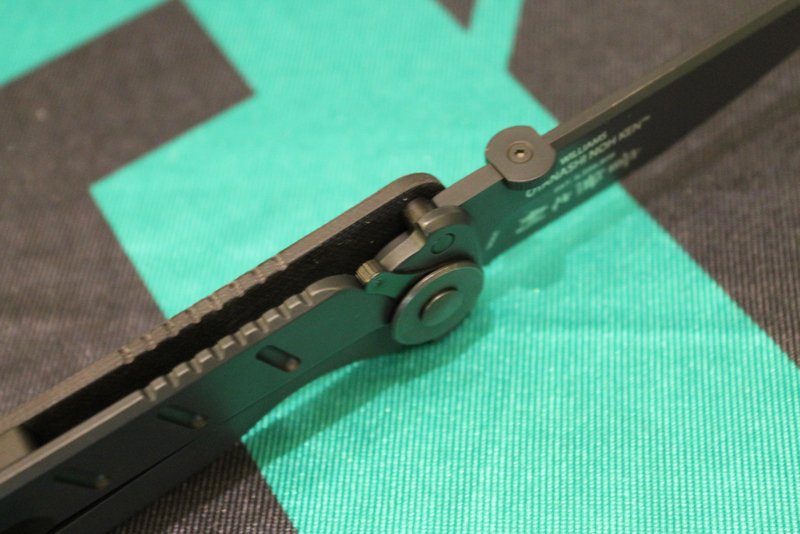 The LAWKS switch has a long throw and feels comfortable under the thumb. Obviously, this proto functioned to specs. The knife is not an assisted opener, like the Hissatsu or Heiho. 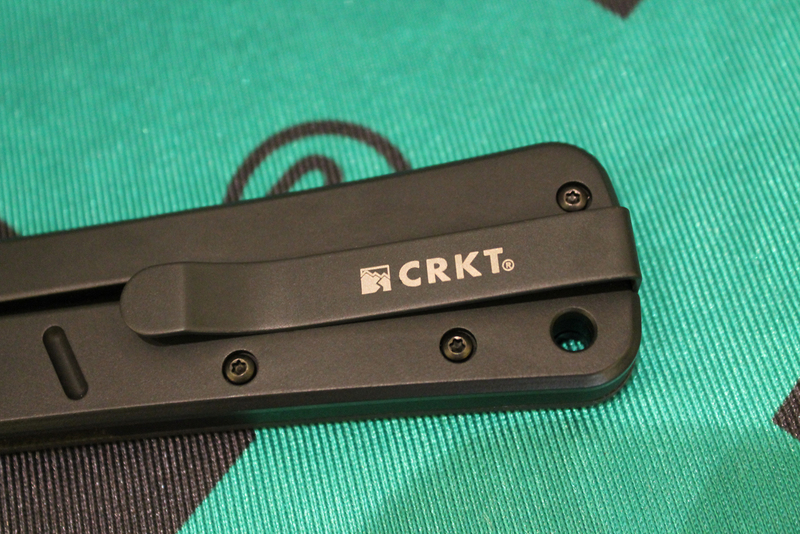 I am not enamored with the CRKT Outburst™ assisted opening system. Though it snaps with authority, my experience is that it takes such force to get the blade into assist mode that my opposable digit tends to fly toward the naked edge. Fortunately, Outburst can be deactivated. The OnK is just fine unassisted. 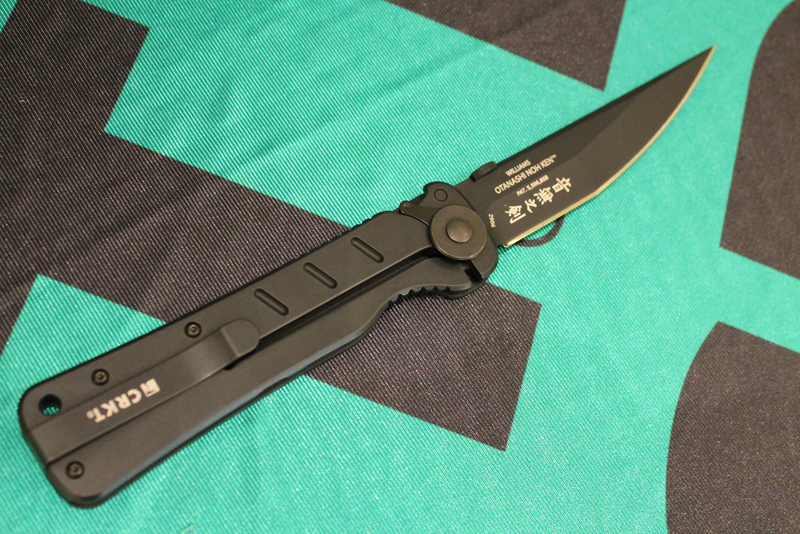 The angular tanto blade has a swedge along the top and is 0.16″ in thickness. AUS 8 steel, at HRC 58-59, gets an as yet unnamed black corrosion resistant coating. 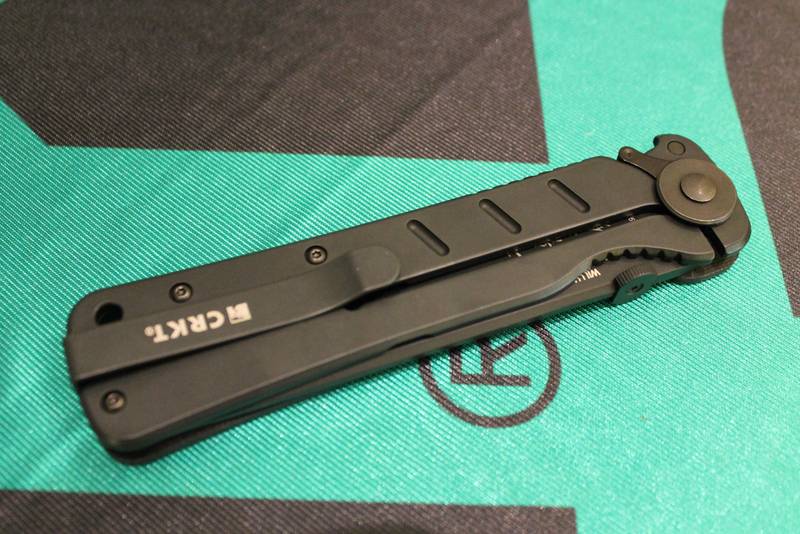 This knife is 10.13″ open, with a heft of 6.4 ounces. Again, nearly sword-like in proportions! To my hand, the Otanashi noh Ken orients well in hammer, saber, or reverse grip edge out holds. 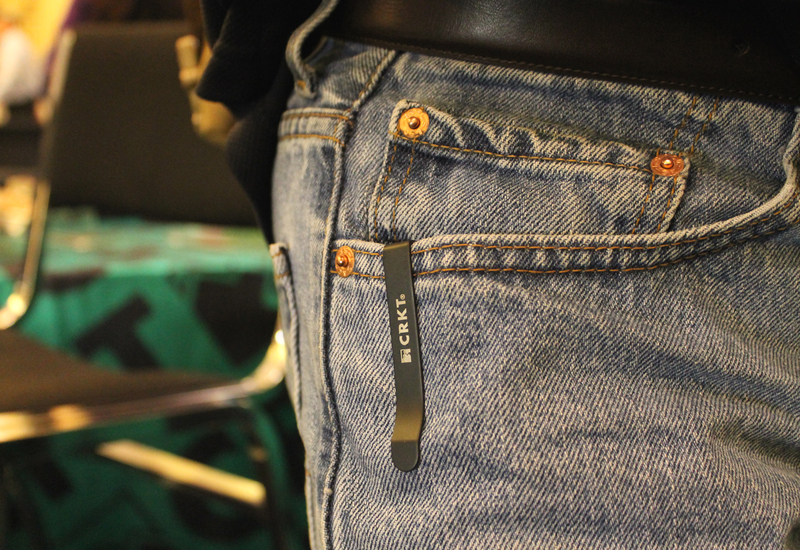 Its piercing ability is unquestionable. I prefer the ergonomics of OnK over those of the Hissatsu. The OnK’s MSRP will be $150.00. I understand that production will begin in the 1st Quarter of this year. 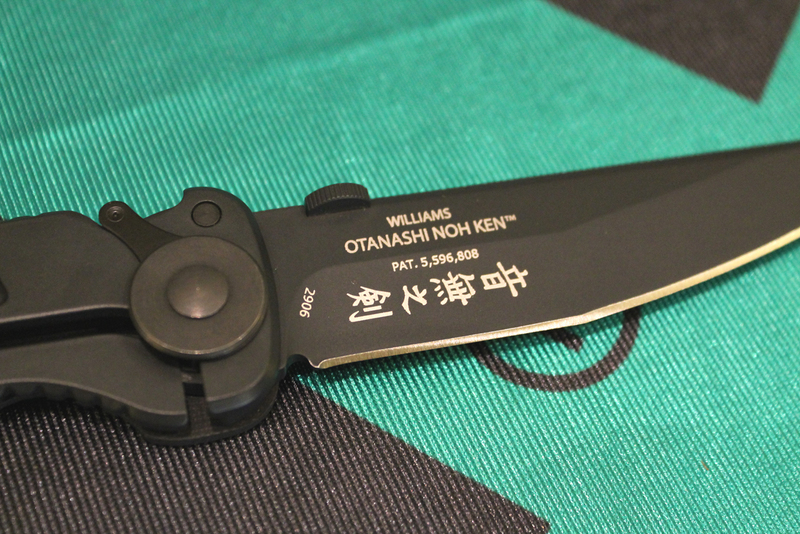 From my examination, I predict the Otanashi noh Ken will be a popular product for CRKT. 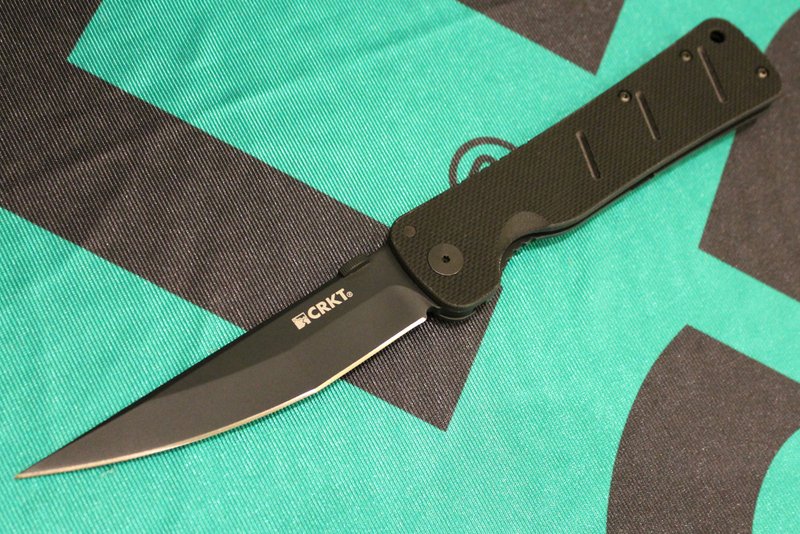 This entry was posted in Knives and tagged Columbia River Knife and Tool, CRKT, CRKT Hissatsu, CRKT Otanashi Noh Ken, Folding Knife, James Williams, SHOT Show. Bookmark the permalink.